Home » Project Quality – Make It A Project Plan Priority! 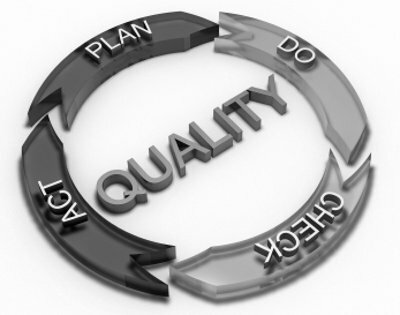 Project Quality – Make It A Project Plan Priority! Project Quality is often an area of confusion. People mix up process quality and product quality. More than that, quality is often either cut or bypassed altogether. The first step to achieving project quality is to understand it, its importance and how it can transform a project. The way you manage your project, whether you follow documented processes and procedures, your own or corporate standards, is as much subject to quality review as the project’s deliverables. This aspect is what I call process quality, sometimes called quality assurance. Process quality is usually reviewed or audited by a group external to the project. This maybe a permanent team or group within the company whose job it is to ensure standards are followed. Do not fear this group! Actively engage them. This eliminates any anxiety you and your team may have about project audits. Make friends with the quality assurance group! Product quality, on the other hand, is how you ensure that the project’s products or deliverables are created to agreed standards, and is sometimes called project control. Cutting corners or ignoring this area is common. This is extremely damaging, not only leading to poor quality items, but also a poor commitment by the project team to really meeting the needs of the users. Quality is usually neglected if it is not built into every aspect of the project. Project quality processes need to be discussed, agreed, documented and established right from the start. This includes quality criteria in deliverable descriptions. Just like with issue and risk management, you need to set the tone by example. Facilitate the initial few quality reviews and establish a habit and a pattern for your team to follow. Also, I think it’s always a good idea to formalize the review by having review comment sheets to be filled in. A simple quality plan template can be created or obtained for this purpose, but it makes all the difference, because it ensures consistency.